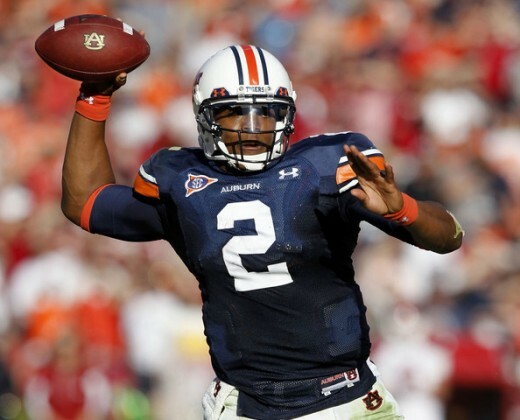 After Saturday’s performance against Arkansas, Auburn Tigers quarterback Cam Newton has positioned himself to be the top Heisman candidate in the country. Newton, a Westlake High School graduate, finished the day with 140 yards passing and ran for 188 yards and three touchdowns to lead the Tigers to a 65-43 shootout win against the Razorbacks. Newton definitely has the look of a top Heisman candidate. Newton is fourth in the nation in rushing with 860 yards, he leads the nation in rushing touchdowns with 12 and is the nation’s second leading passer with a rating of 180.5, but the most important statistics of them is the fact that the Tigers are now 7-0 overall, 4-0 in the SEC, is ranked No. 4 in the BCS Standings and has a legitimate shot at a BCS National Championship.